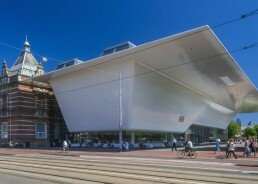 A dancing medley of contemporary art in the Stedelijk Museum is an experience not to be missed. It is home to Vincent van Gogh’s first solo installation after his passing, where his nephew Vincent Willem van Gogh lent the art space paintings such as La Berceuse, a portrait of Augustine Roulin and that is known to be one of the artist’s final artwork. 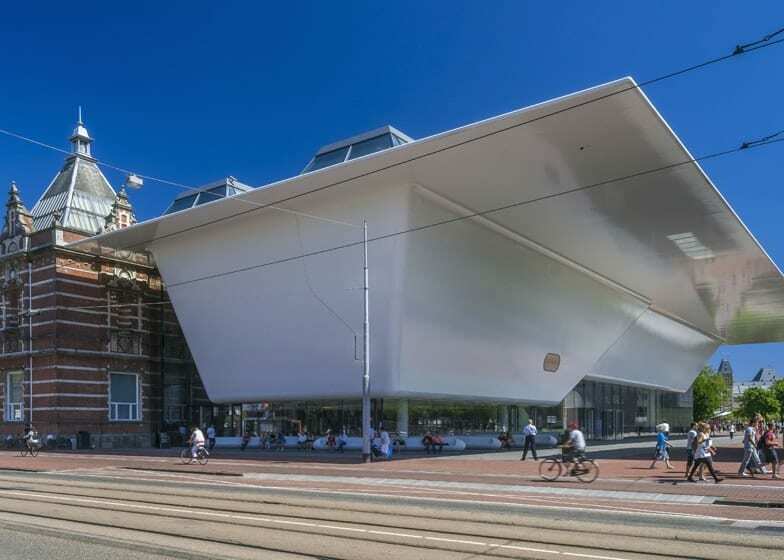 The Stedelijk holds a crucial role in drawing a line between design and art; it shows us a relationship between the two schools while also praising their aesthetic differences. This is the honeypot of the world’s most memorable photographers and a voyage onto an ocean of various types of photography. The museum showcases the three genres of art, fashion and documentary. Works of prodigies like Anton Corbijn -the director behind Coldplay’s Violet Hill as a celebration of Depeche Mode’s Enjoy The Silence– lie among the most influential portraits to ever see. 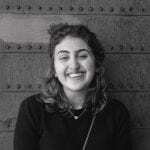 Foam is constantly on the lookout for modern types of photography and emerging artists from all over the world. It provides a platform of recognition and appreciation for international creators to further express themselves filter-free. 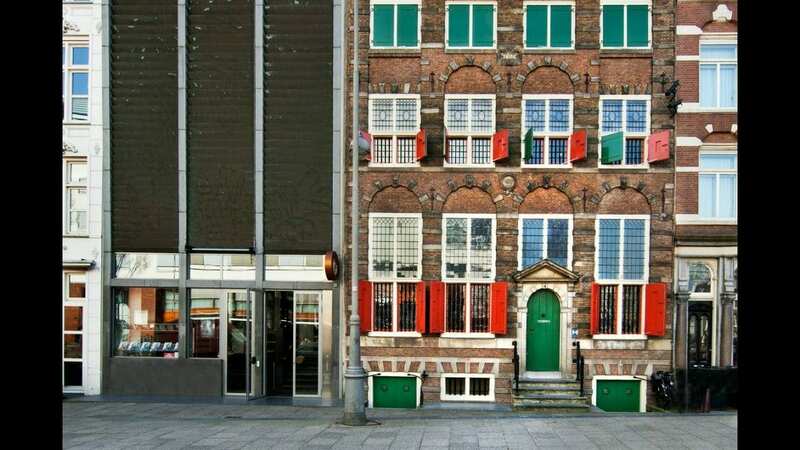 The Rembrandt House Museum in Jodenbreestraat, Amsterdam shelters the wonders of Dutch painter Rembrandt van Rijn and shares an important historical phase in the development of the Netherlands. 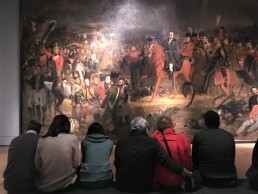 A timeline of the political transition from the Dutch Republic into the kingdom of the Netherlands is seen in line with the growth of a wide range of art subjects. Upon entry, Rembrandt’s paintings target the widespread European Baroque scene, then glow further into the light of the Dutch Golden Age. His usage of mythological and natural references in his pieces has made him one of the most brilliant artists of the 1600s, and one of the most diversified symbols of European art history. Following the Rembrandt House, it is ideal to pass by the Hermitage Amsterdam to get a concentrated, small taste of the main Saint Petersburg branch. The museum keeps the masterpieces of artists from multiple backgrounds, such as modernists Henri Matisse and Pablo Picasso. Several paintings from the 19th and 20th centuries of France are also available. Hermitage Amsterdam is a tribute to the close diplomatic relations maintained between Russia and The Netherlands, which is why it is a suitable setting to depict the stories of Russian leaders through the museum’s exhibitions. 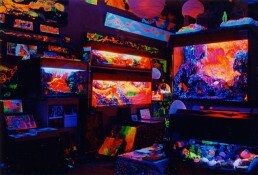 Ultimate immersion in fluorescence is what this special landmark is all about. A worldwide collection of neon-colored minerals and precious rocks are observed through different wavelengths of ultraviolet light. Two parts of the museum include an interactive environment where the visitor is also an artist in action, participating in demonstrations; and the other being a guided tour throughout nature under longwave and shortwave lamps. With glowing rainbows submerged into the surroundings, this venue is an arcade of geology, astronomy and a lot of playfulness. Distinguished by being Europe’s first ever built eco-museum, the Street Art Museum’s aim is to give back to the local community by invest in projects that nourish social development and create a better atmosphere for civil society to live in. 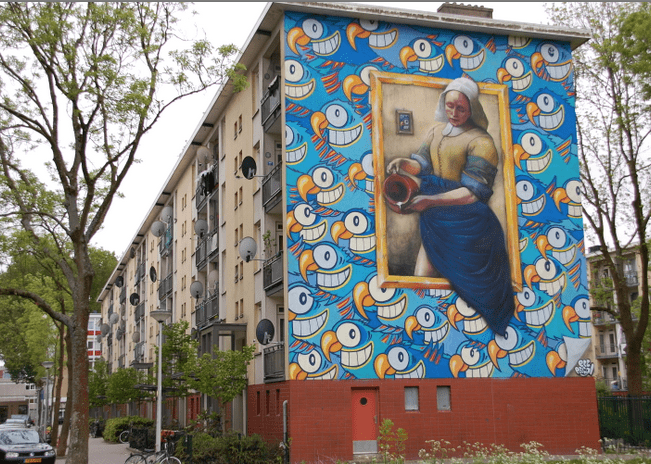 It is Amsterdam’s canvas of embracing identity – a call to a friendly hangout on the streets of Amsterdam Nieuw-West. Over 200 murals from international artists are distributed around the district. This venue is the go-to for urban art fanatics; just right if a whole day is spent out in the city. 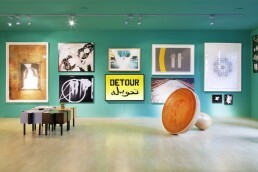 The first Arabic language led art space in Europe that puts Saudi art in a flourishing light. It acts as a research centre for Saudi Art and a presentation space for artists that reside in, and originate from Saudi Arabia. Prominent names that were known to be the first participants in the Saudi art and design scene include experimentalist Abdullah Al Othman and founder of the fashion brand Fyunka, Alaa Balkhy. 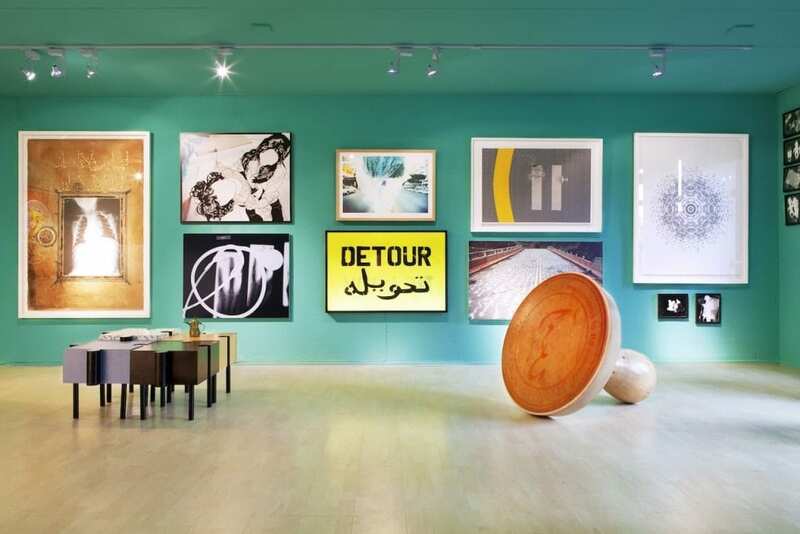 Greenbox started off from a small project by Aarnout Helb, a Dutch lawyer who collected art as a hobby and found Saudi contemporary artwork to be strikingly interesting to display for the public. Known to be one of the landmarks of European art movements, a day around the Rijksmuseum in the heart of Amsterdam takes us on a visual ride to discover the rich history of the Netherlands. The Rijksmuseum collection gives a clear scope of the Dutch reign and colonial periods in the Carribean. 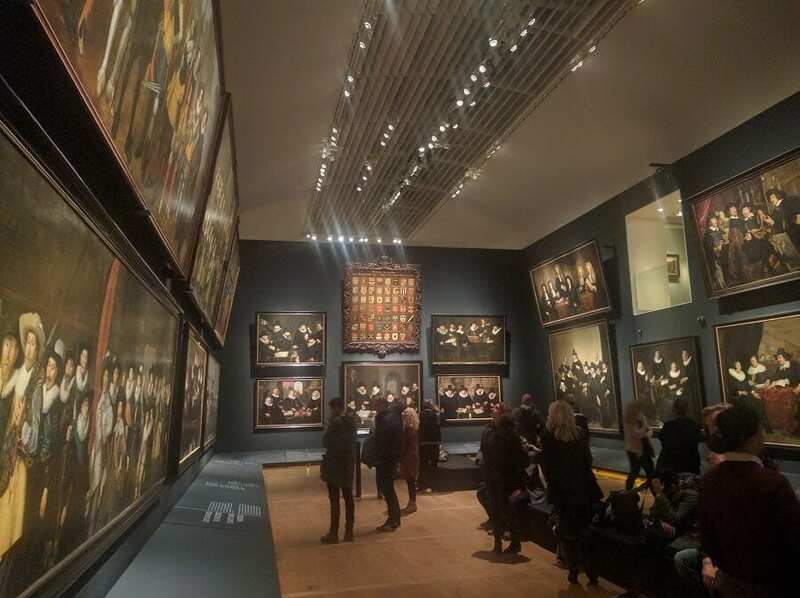 Marvels like The Night Watch by Rembrandt van Rijn are surrounded by new crowds of spectators who fly in from all over the world to personally witness the godly work from of 1600s. Visits usually end with a classical music street performances just outside the exit of the museum; the perfect, delicate closure laced with the notes of ballroom-class composers. With a modern interactive installation set upon arrival, the Vincent Van Gogh experience invites us to a one-in-a-lifetime trip showcasing the course of Van Gogh’s life and artwork. The reminiscing sounds of the city of Arles, narrations of his time in France and letters to his fellow impressionist friends resonate to having Vincent around us till this day. The Van Gogh Museum also celebrates the muses and inspirations whom Van Gogh drew his work from – such as Paul Gauguin– acting as pin pointers later on in his career. The different stages of Van Gogh’s life and artistic adaptations are tackled through his painting’s phases; peasant life in The Potato Eaters and still life in Sunflowers. For those interested in art history and theories, the Van Gogh Museum is the perfect classroom to guide learners about painting methods such as pointillism, and movements like Neo-impressionism, Realism and Japonism. An accurate insight onto Van Gogh’s highs and lows are described as one walks through documentations of his relationships with friends and family at his time. 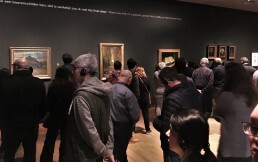 Since Vincent Van Gogh’s mental state influence a lot of his paintings throughout his career, the museum deems it necessary to raise awareness about his struggles by highlighting analyses made by art historians and psychologists from the late 1800s till this day. His realized success was achieved later than wished, but the way he turned the darkest days of his life into today’s academic branches of study is what keeps citizens of the world constantly coming. 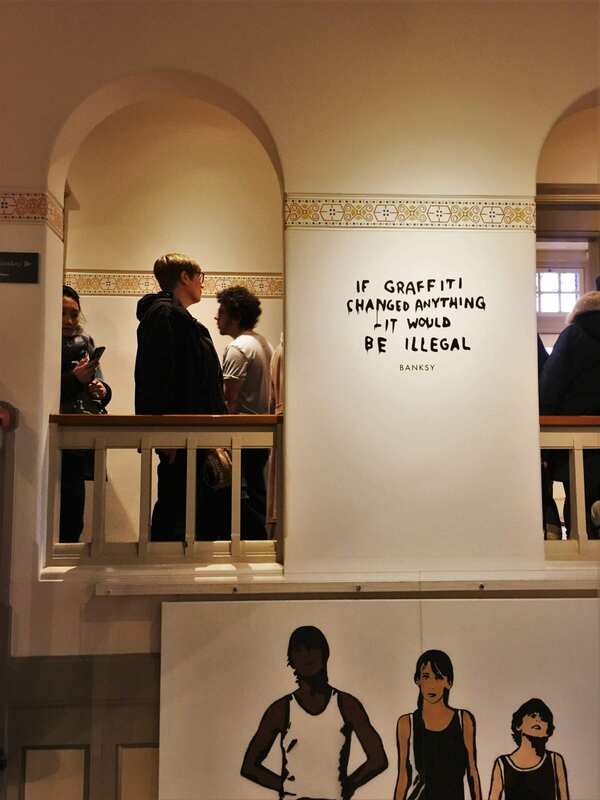 Located in Museumplein, The Moco Museum is the world’s meeting point to embark on a journey to Banksy’s indoor art. The space is compartmentalized into themes that Banksy holds dear to his heart and perceives as crucial, societal issues that need to gain awareness. Controversial pieces are found, like the Di Faced Tenner, coined by a forged British currency note with Lady Diana’s face printed on it. An entirely new perspective about street art and graffiti is formed as we explore Banksy’s pieces intently. The museum extends to pop art set up by pioneers Andy Warhol and Roy Lichtenstein, who immerses visitors with the ultimate 3D vision of his artwork. While the works of Banksy and Icy and Sot refine the meaning of graffiti on one half of the museum, the other half stands tall with Keith Haring’s Subway and Jean Michel Basquiat’s Head dissolve the hierarchy of high art and low art. In a time of rapid demographic displacement of individuals affected by war, Moco’s Icy and Sot ring the bells of our minds to draw attention to the most delegated problems in the 21st century – climate change, gender equality and refugee crises. With pieces like Freedom and Color Rain, the Iranian brothers show us hope of a better world; the potential of what could be if all these atrocities are addressed appropriately. Whether you’re pursuing a degree in fine arts or eager to delve deeper into a world of multiculturalism, Amsterdam is the ticket to an opportunity of making unforgettable memories. Its warmth and perpetual liveliness makes it a timeless city of craft. Read more from Zina Qabbani.